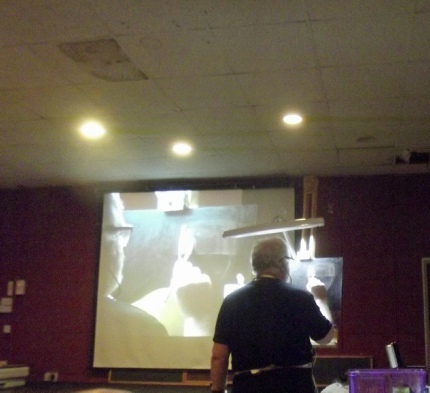 We send a huge 'thank you' to Mike for a dazzling demonstration! 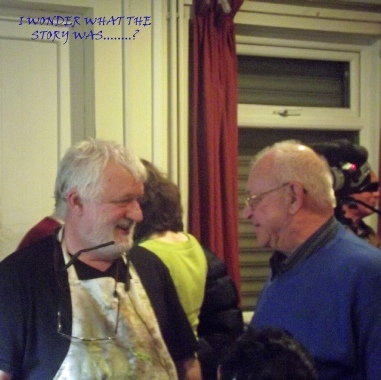 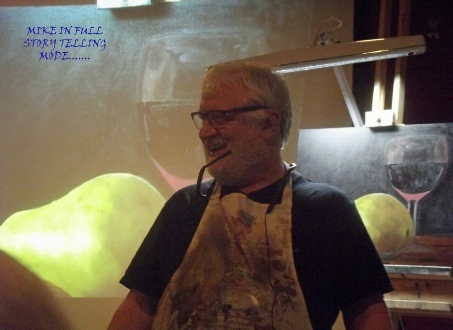 85 members of our Society were treated to an artistic and entertaining evening watching Mike's still life develop in clearly explained steps... the pear 'ripened' before our eyes, and the wine glass dazzled with mellow tones and sparkling lights ... the finished painting was.......edible!! 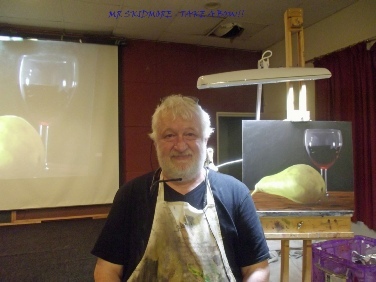 Mike had many anecdotes which dotted his narrative; he told of his time spent in Cardiff as a rebellious art student, his TV and Radio careers..... and how he moved into Still Life about 3 years ago - luckily for us!! 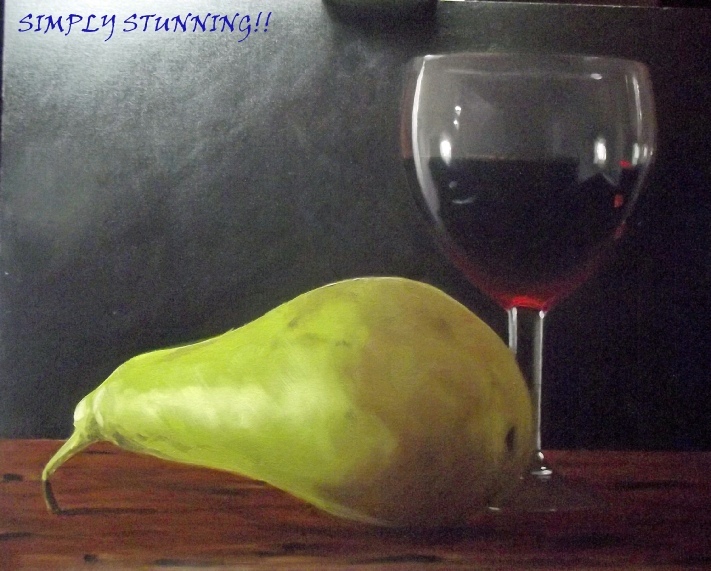 He said of 'Still Life' painting, "You don't have to be a slave to your subject" and demonstrated this by adjusting tones and colours as the painting developed..... he said it was making it up as he went along ...... no, it was a masterly display of making the subject his own!